109. Davie, Donald. ‘Cathay, Arnaut Daniel, the Noh’. 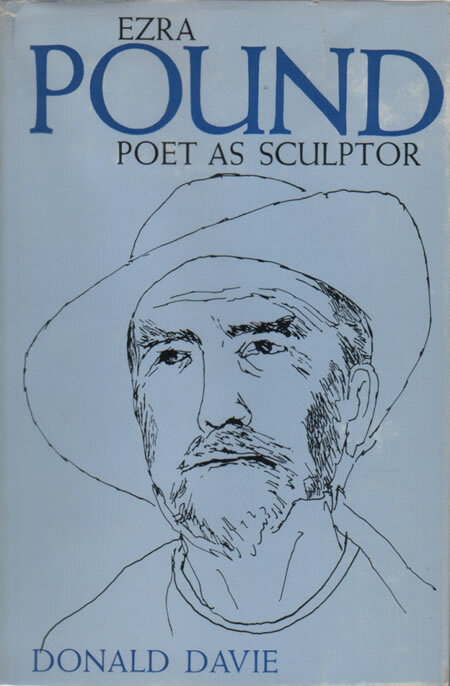 In Ezra Pound: Poet as Sculptor. New York: Oxford UP, 1964. Davie’s treatment of Pound’s work with the nô (pp. 47ff.) is dated by more recent scholarship. He finds Pound’s versions interesting for their demonstration that Pound was ‘capable . . . of responding to ways and structures of feeling . . . remote from his own’, but argues that Pound’s attempt to connect the nô with ‘the poetic program of “imagisme”’ (see especially 12 and 17f and 87) was ‘strained’, and that in the end his work with the plays was a ‘blind alley’. Slatin’s suggestion (in 108) that this ‘alley’ had been an opening into The Cantos had appeared a year earlier, and has been followed upon by, especially, Bush (145 and 161), Niikura (147), Flory (186), Longenbach (183), Miyake (187, 191, and 192), Stoicheff (202), and Nicholls (204). Davie’s work includes comments about Yeats and the nô, and Yeats’s hand in Pound’s versions of the nô, and is the first critical commentary to suggest that ‘doubtless the two poets must be thought of as working . . . together’ in their preparation. Katô (154) and Chiba (175), particularly, substantiate the point. Reprinted in Davie’s Studies in Ezra Pound (Manchester: Carcanet, 1991).